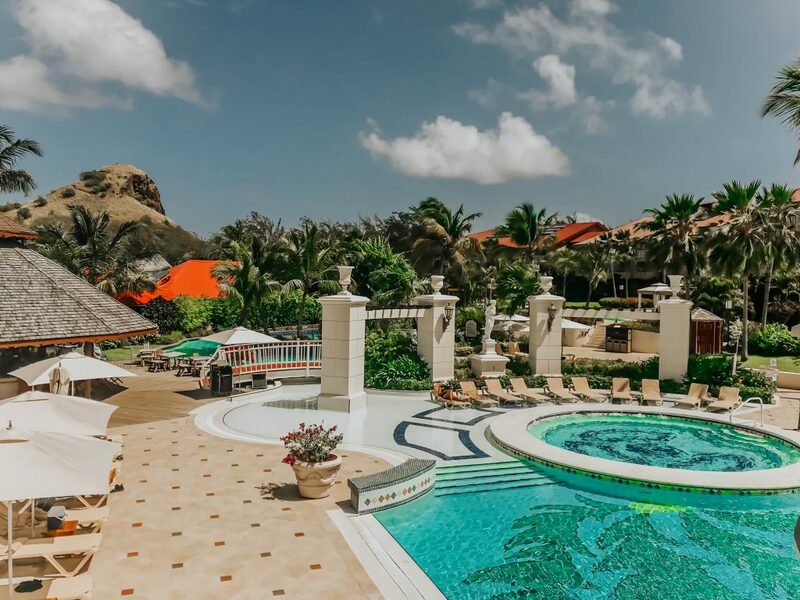 Since opening, Sandals Grande St Lucian Resort has made quite the splash, becoming a hot destination for the rich and famous to stay on an exclusive and romantic retreat. 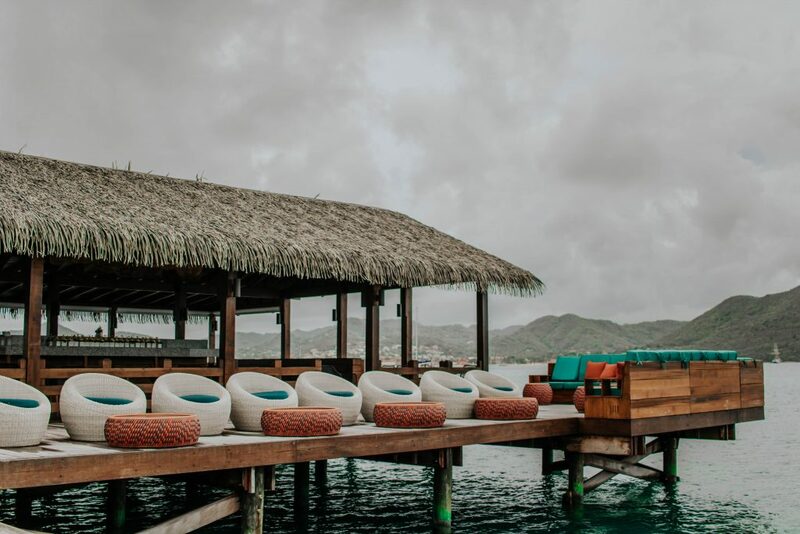 It’s no wonder, with glorious rooms, suites and overwater bungalows, each set up to give the ultimate romantic Carribean escape. 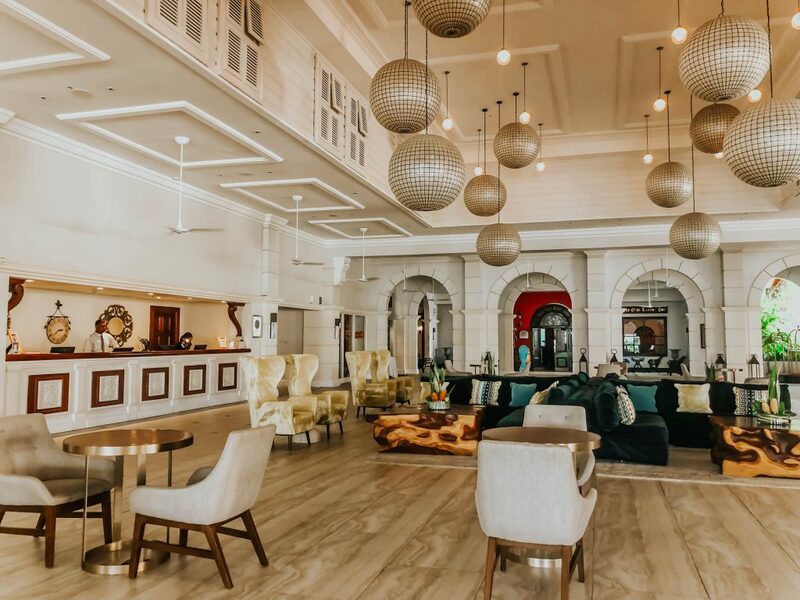 You certainly don’t need to be Prince Harry to feel like royalty during your stay here, with its luxurious elegance, delicious dining options and spectacular beach. 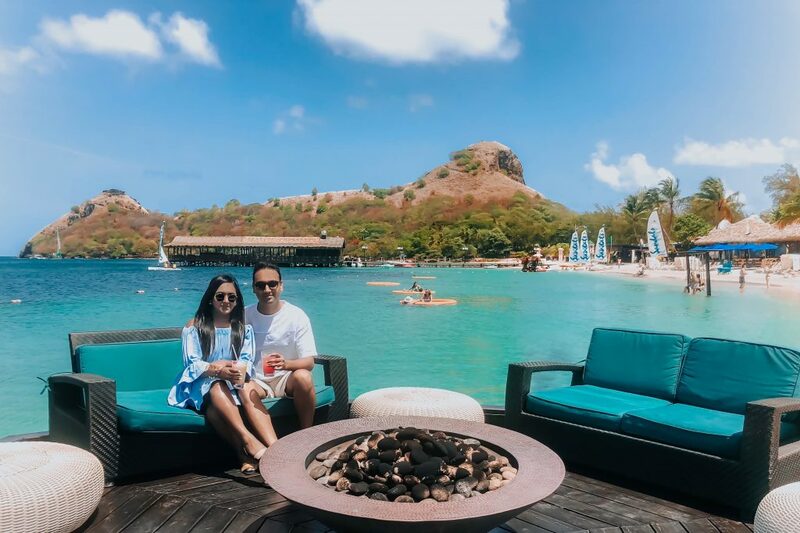 From the moment my husband and I arrived at Sandals, we got the feeling of just how committed the resort is to provide the perfect romantic escape. We were greeted by our own personal butler, who we were informed would be available for our whole stay to assist us. 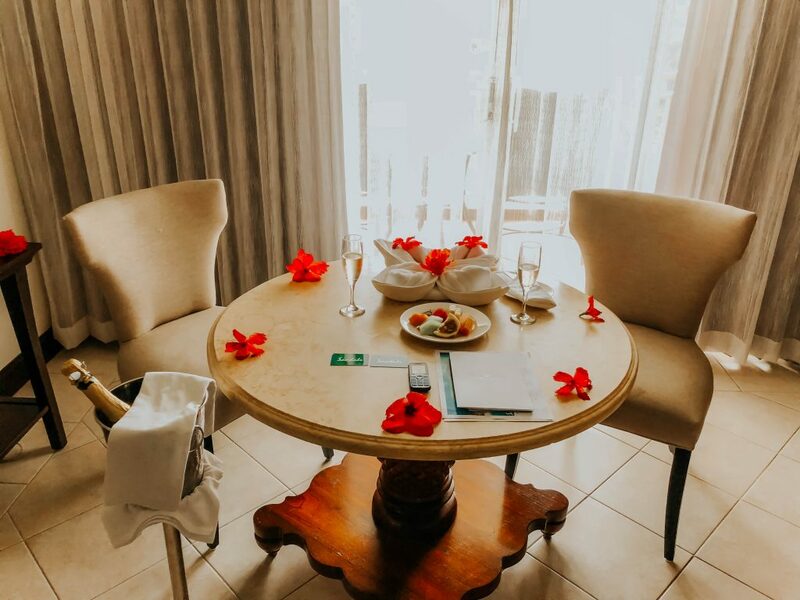 We were then led to our Carribean Honeymoon One Bedroom Butler Suite with Tranquility Soaking Tub, where we found a generous spread including fresh tropical fruit and champagne on ice. With a smile, our butler provided us with an overview of the room and the resort’s facilities, before asking us if we’d like the champagne then. 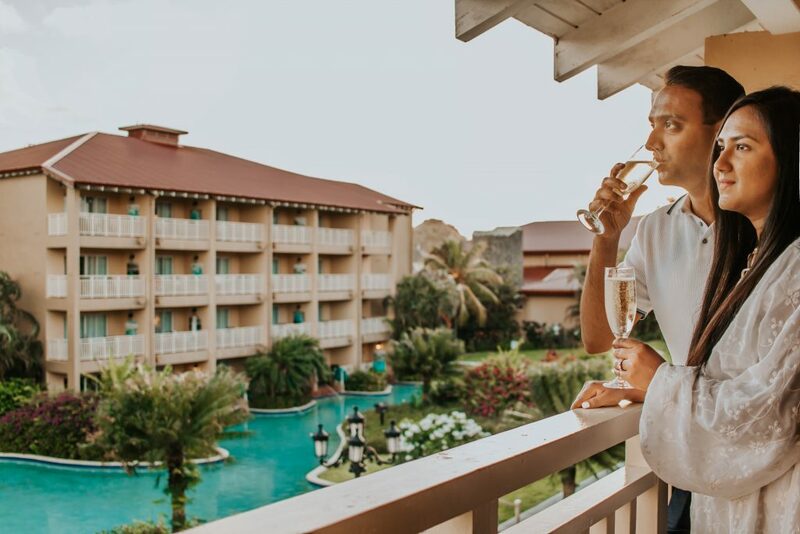 We enthusiastically agreed, and soon we were celebrating our arrival at the resort with champagne and friendly chatter with our butler, who would be on hand for the duration of our stay to assist us with any tasks or bookings. 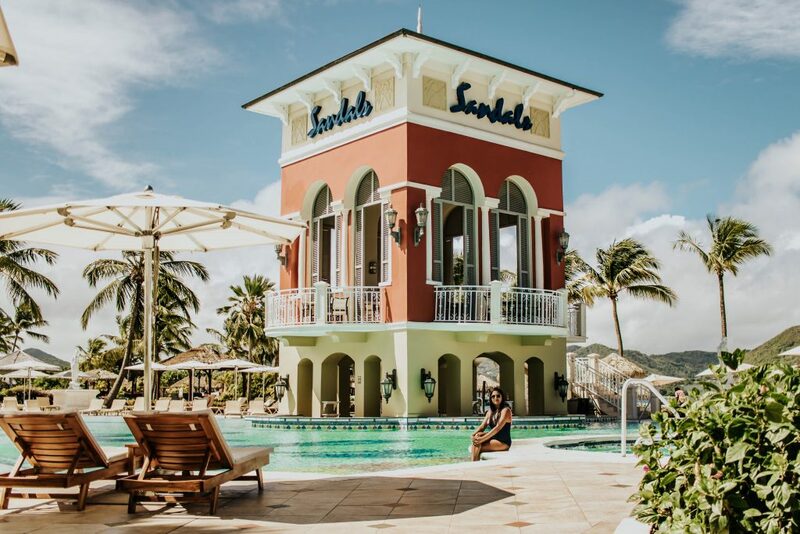 The Sandals Grande St Lucian Resort is a luxurious offering from Sandals, who pioneered overwater bungalows in the Caribbean when they opened their first resort in Jamaica. 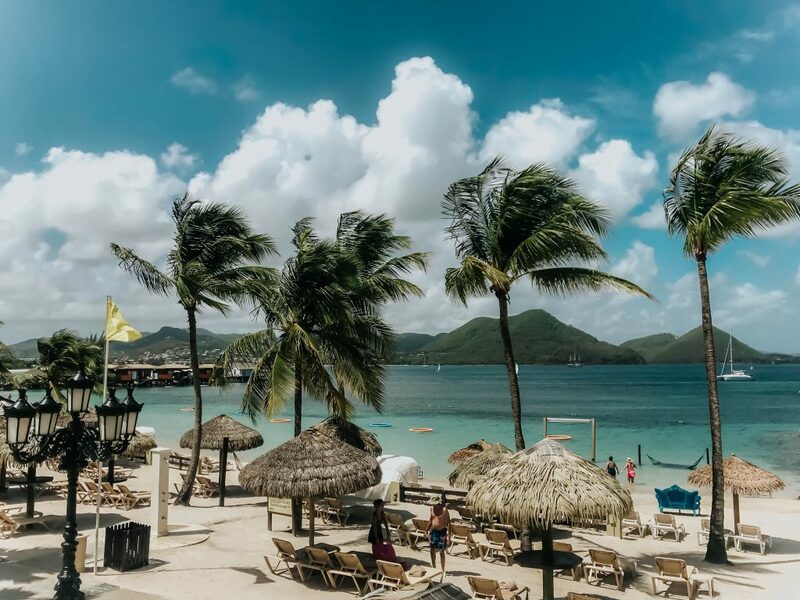 Today, they have a suite of stunning locations across the Caribbean, including, of course, the breathtaking Grand St Lucian which is enveloped by panoramic views of the ocean and long stretches of white sand. 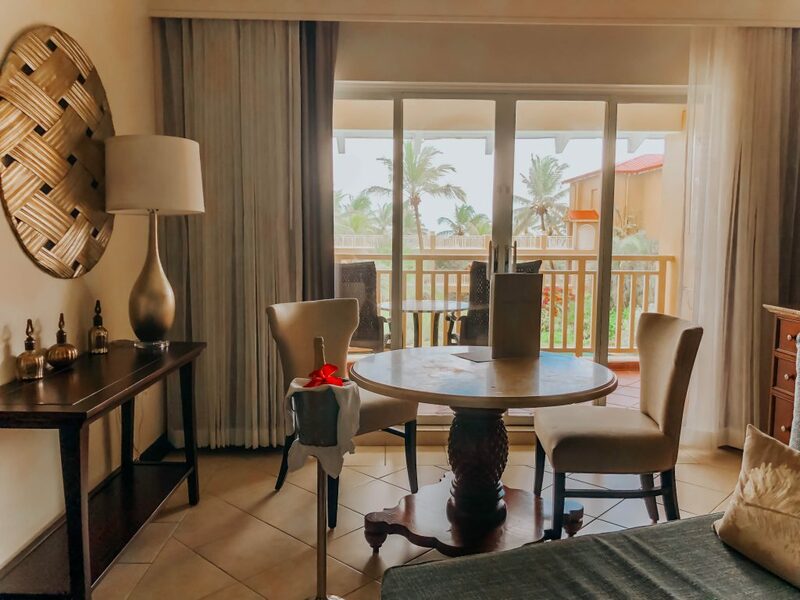 The Resort is exceptionally well-equipped to cater to your every whim while on a romantic couple’s retreat – and then some. 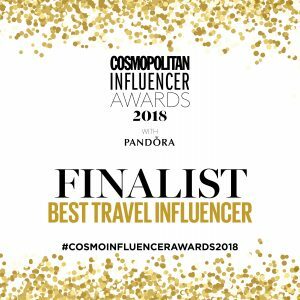 There are five fabulous pools and a further four whirlpools, meaning there are calm and peaceful options to laze by or more hedonistic offerings that feature a swim-up bar and a plethora of tropically inspired cocktails. 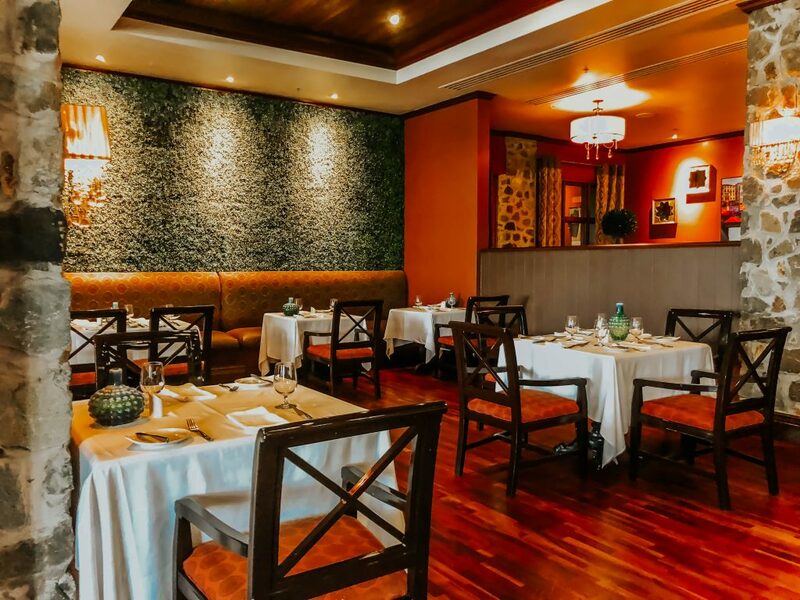 There are also many more options for indulging in excellent food and drink, with 27 diverse restaurants( including restaurants of other nearby Sandals resort) as well as six bars for dancing the night away in your beloved’s arms or just sharing a deep conversation over a delicious glass of wine. If you can pull yourself away from the beach, pools and cocktails, there are also a plethora of activities on offer, including scuba diving at the beautiful nearby reef. Another must-try activity is indulging in a relaxing and rejuvenating couples’ massage or spa treatment. 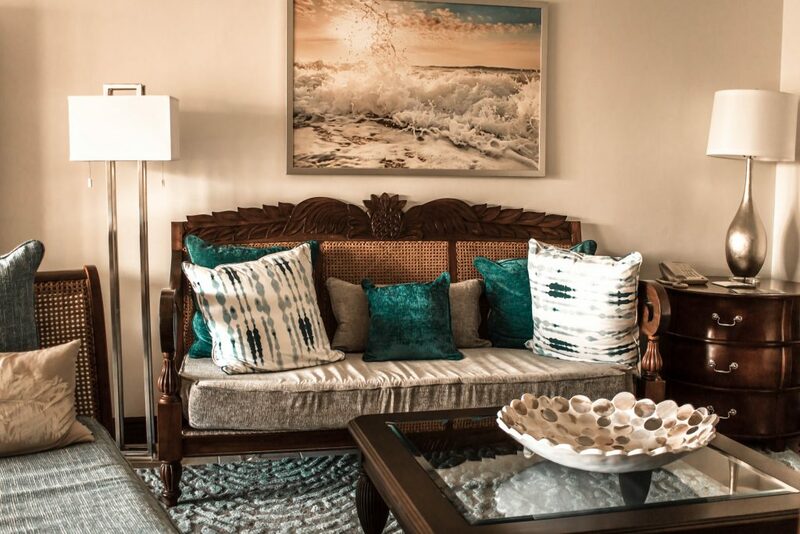 Our one-bedroom suite was self-contained, making it the perfect romantic retreat as it felt more like a home away from home than hotel accommodation. Add in the attentive yet unobtrusive service of our butler, and it was a real treat. Our room’s stunning design was elegant and luxurious yet never detracted from the immense natural beauty of their surroundings. 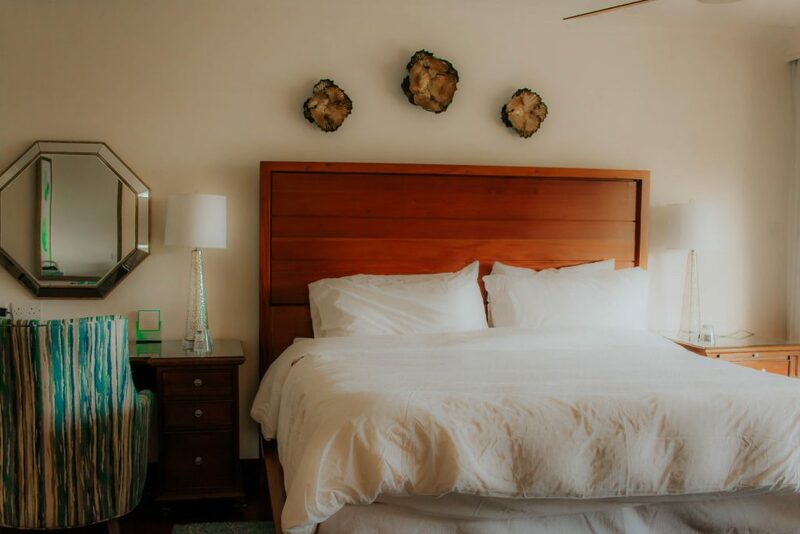 Featuring rich hardwood, elegant furnishings and a luxurious king size bed, the rooms have an indulgent, movie-star charm without being overly pretentious. Little touches, such as the bathroom’s luxury toiletries and tranquillity tub, add to the overall appeal. The suites are also crafted to make the most of the lagoon pools that surrounds them. The large patio had a beautiful view out over the hotel’s lagoon pool and was a wonderful space to sit and relax. So too was the spacious living/dining room, which added to the homely feel and was another great space for sharing relaxed conversation. 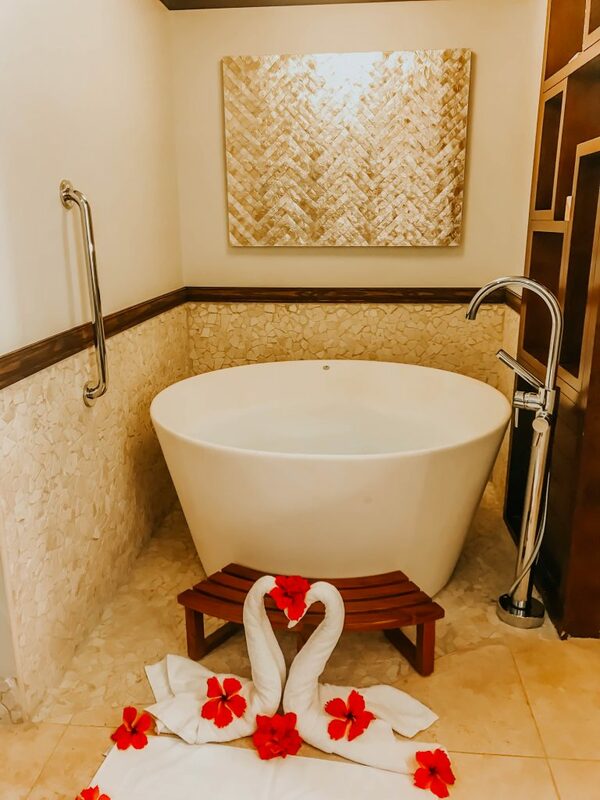 Then, of course, there was our tranquillity tub for two – perfect for soaking in the gorgeous bathroom, and of course enjoying quality time as a couple. 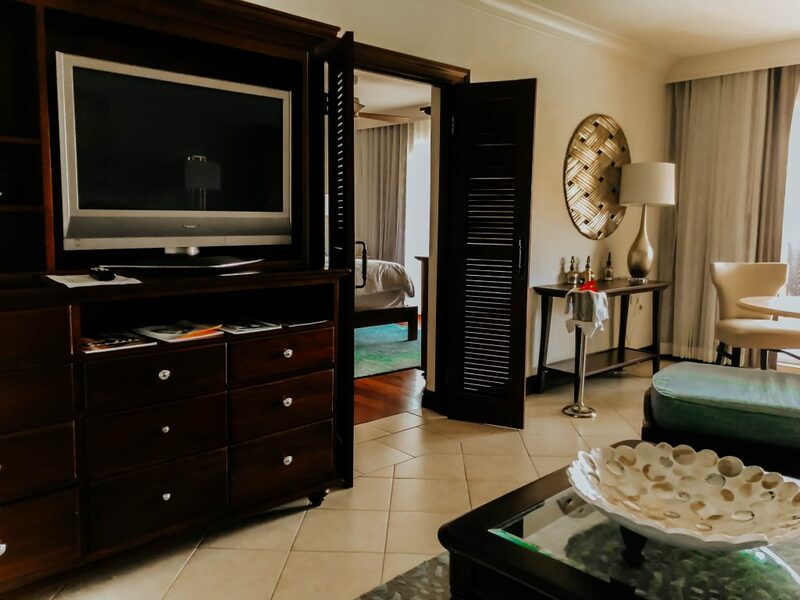 The generously stocked drinks fridge, featuring champagne, liquors and fresh juice, meant a romantic drink was never far from our hands as we relaxed in our suite. 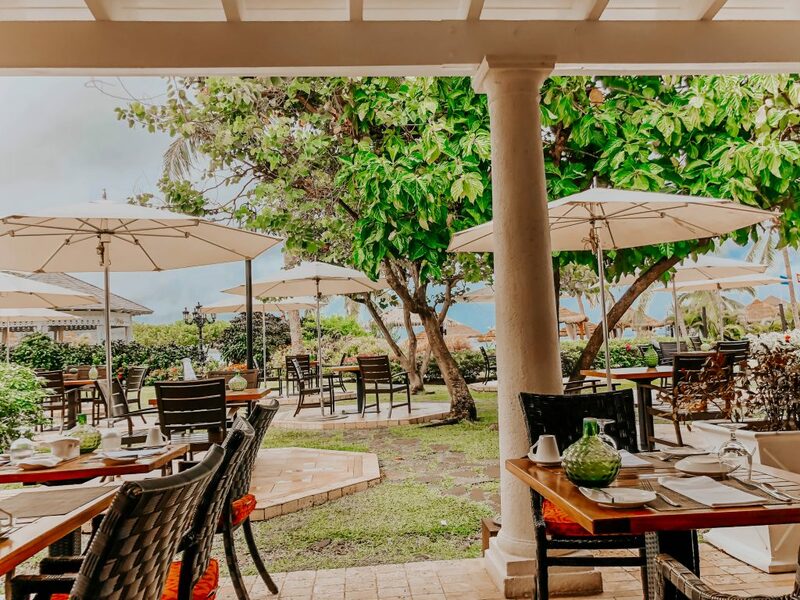 With 27 different restaurants available (12 at the resort, and 15 at others nearby), the Sandals Grande Saint Lucian is perfect for foodies who love the convenience of an all-inclusive package but don’t want to give up any of the freedom of choice when it comes to menu options. With that many choices, we didn’t get a chance to sample them all – however, we did our best! 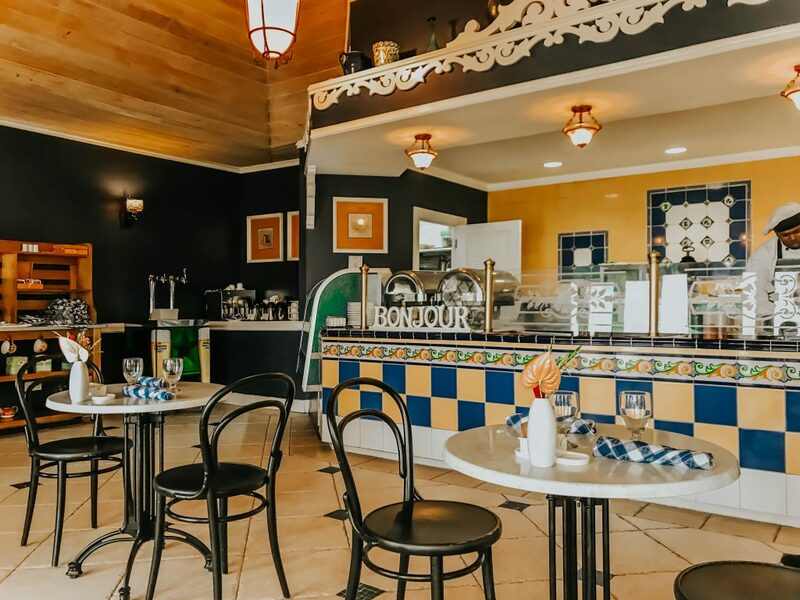 On our first evening, we dined at the Bay Side Restaurant, which overlooks one of the pools and features a menu offering multicultural dishes from home favourites such as fish and chips through to French-inspired options such as confit de canard. Inspired by the French brasseries, it is a relaxed, comfortable restaurant serving mouthwatering classics from all over the world. 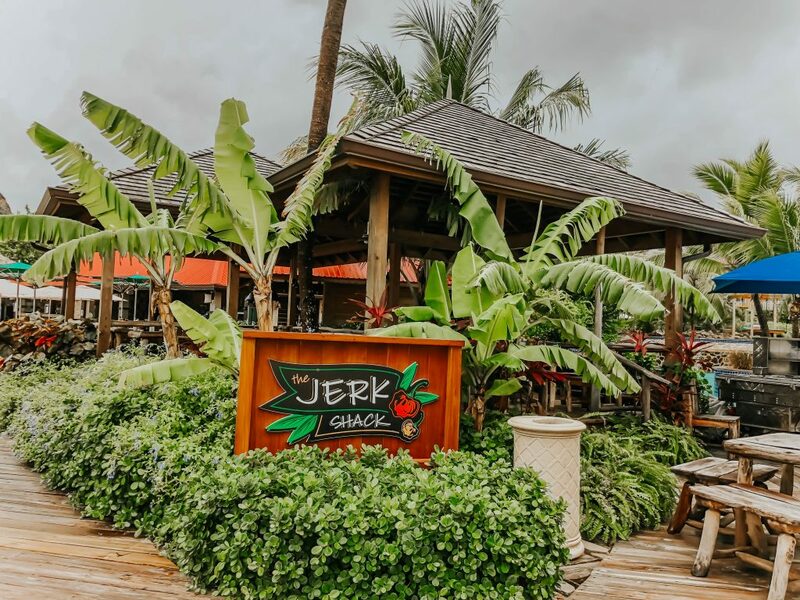 The next day, we stopped for lunch at the Jerk Shack, which serves the traditional Carribean cuisine of ‘jerk’ – meat that has been flavoured and preserved using methods that originated in Jamaica hundreds of years ago. 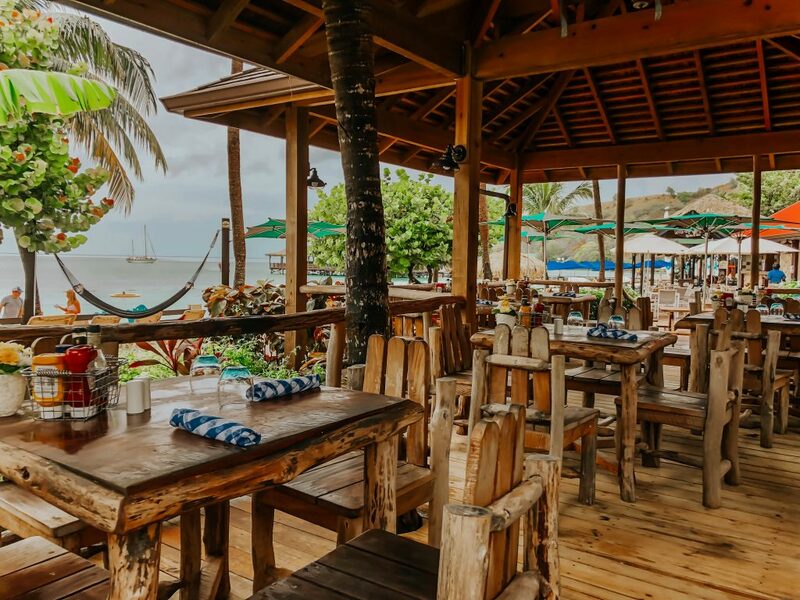 The dishes here are hearty, tasty and straightforward, and are best enjoyed accompanied by a glass of Caribbean rum. In the evening for our second night, we had dinner at Toscanini’s, an Italian restaurant named in honour of a particularly passionate Italian conductor. 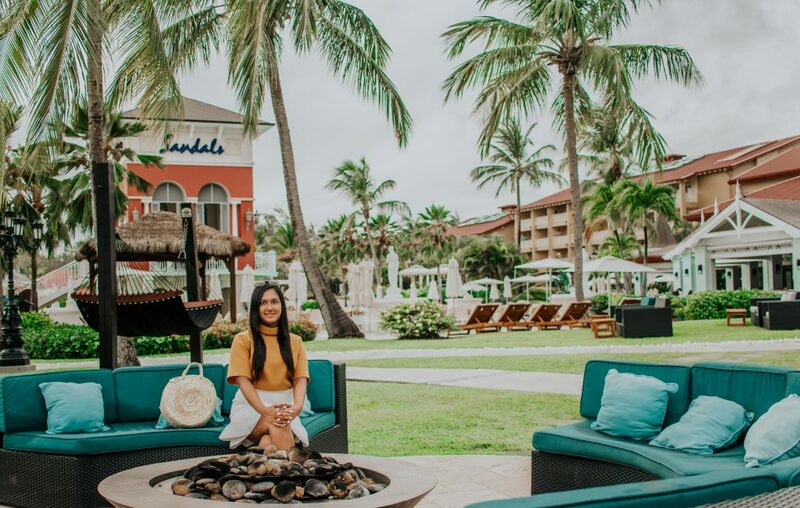 Sandals promise to craft their meals with the passion and enthusiasm, and by the taste of the innovative Italian dishes such as Pesce Spada, featuring grilled swordfish and fresh lemon and mint, I can second that. 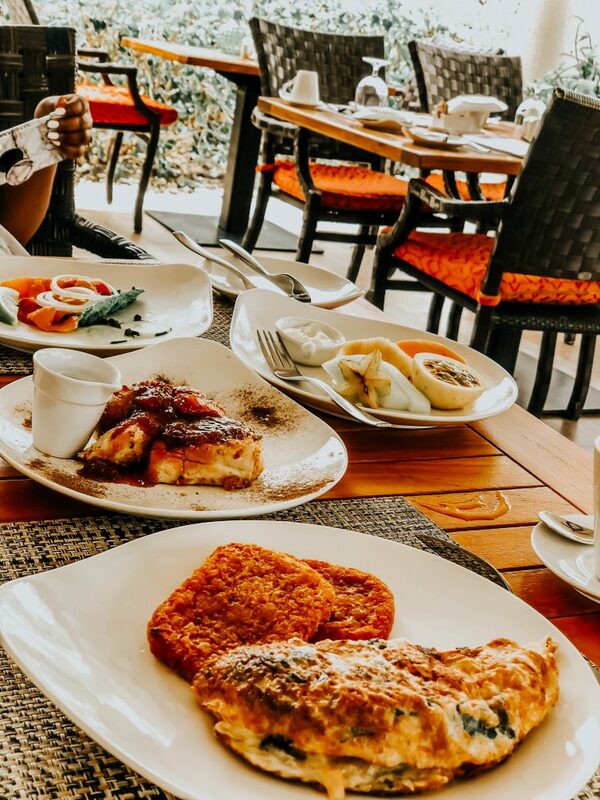 We had breakfast at Toscanini twice, enjoying their selection of fresh juices and breakfast classics such as fluffy pancakes and croissants. 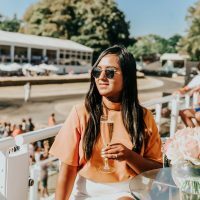 We also enjoyed the breakfast at the Bay Side Restaurant, which again had a good range of options, accompanied by a glass of bubbly – because nothing says ‘romantic getaway’ like champagne for breakfast! 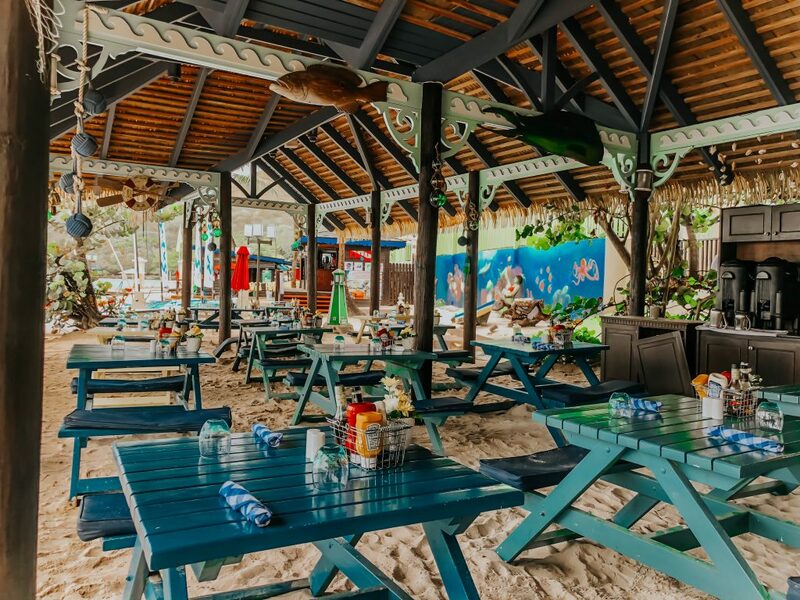 On our third day, we enjoyed lunch at Barefoot by the Sea, a charming restaurant where, as the name suggests – diners are encouraged to dine sans footwear to feel the sand between your toes as you listen to the waves lapping at the shore. 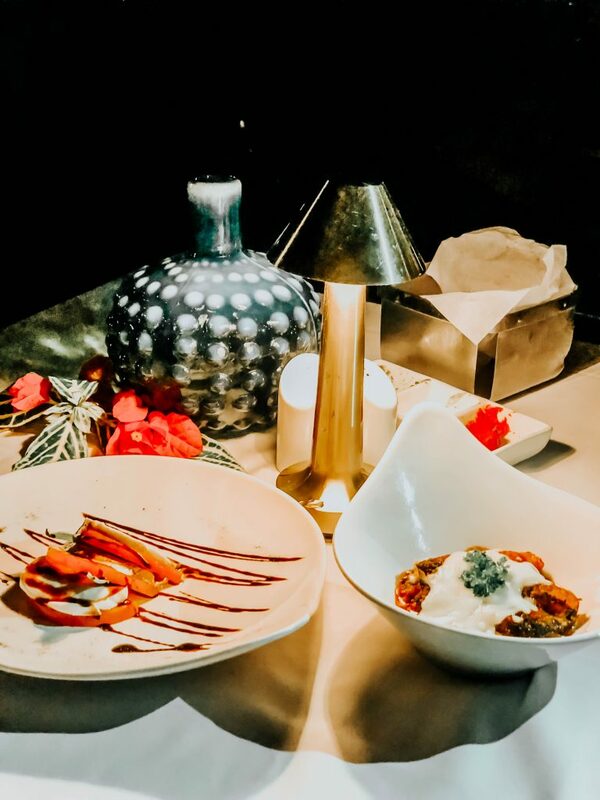 Add in a delicious menu of fresh seafood and other aphrodisiac options, and it is a unique and romantic option that will have every couple giggling like high schoolers in love. 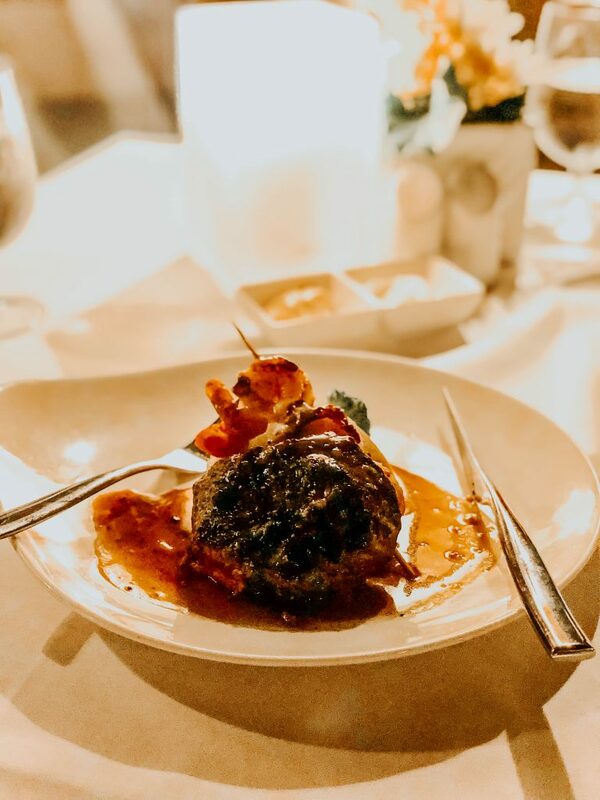 If Barefoot by the Sea gave us a taster for Sandal’s delicious seafood, our evening meal at gorgeous Gordon’s Pier Restaurant was truly a seafood lover’s paradise. 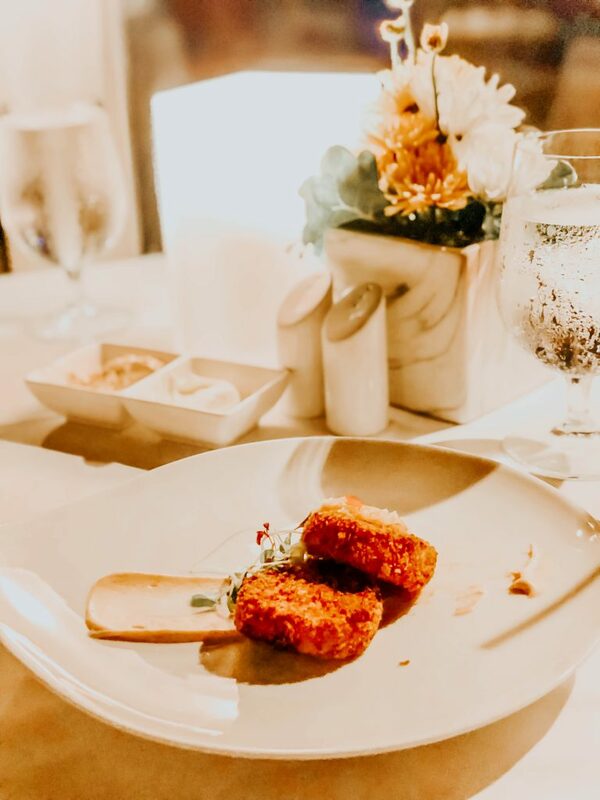 At the end of a boardwalk, hovering over the azure water lies the restaurant, which features incredibly fresh seafood prepared in a variety of styles. I particularly loved the signature swordfish fillet, and, of course, the gorgeous romantic views. 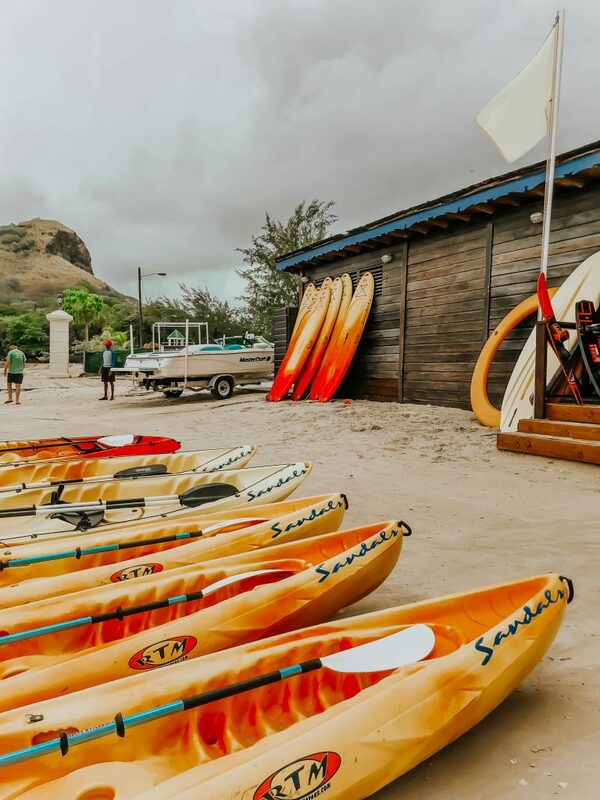 Not content to only offer your typical ‘all-inclusive’ of food, drinks and accommodation, Sandals Grande Saint Lucian also offer water sports and activities. This means that you can add in fun and romantic activities to your itinerary, such as kayaking, skiing or scuba diving, without any worry about the cost or unexpected surprises on check out. 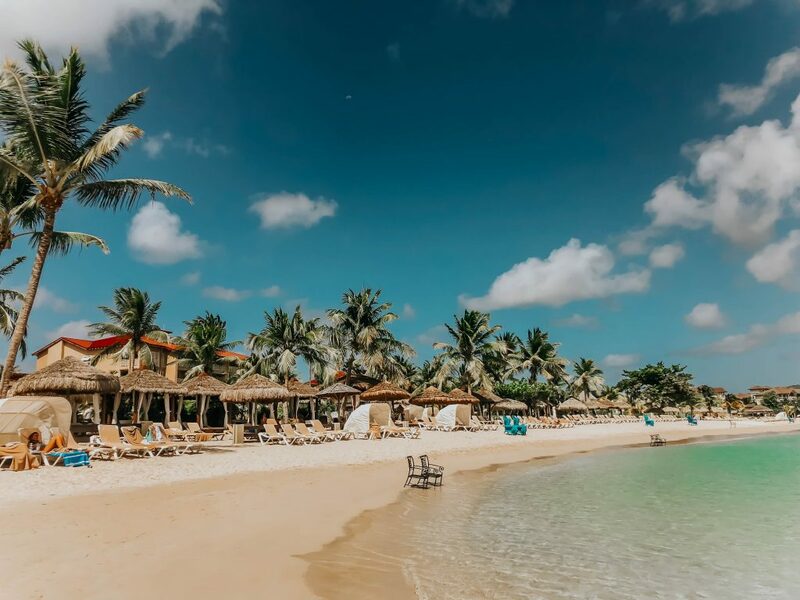 Perhaps the jewel in the crown of the resort is the glorious beach, which features a long strip of white sand and some of the calmest waters on St Lucia; in fact, it was one of the most beautiful beaches I’ve seen anywhere in the Carribean. 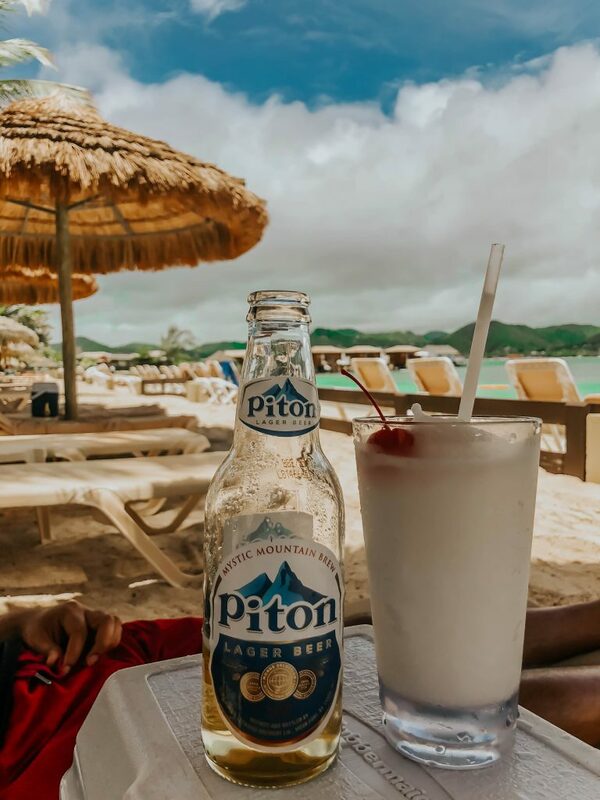 As well as the natural beauty, the beach also features many added luxuries including comfy beach lounges and cabanas that can be rented at an additional cost. 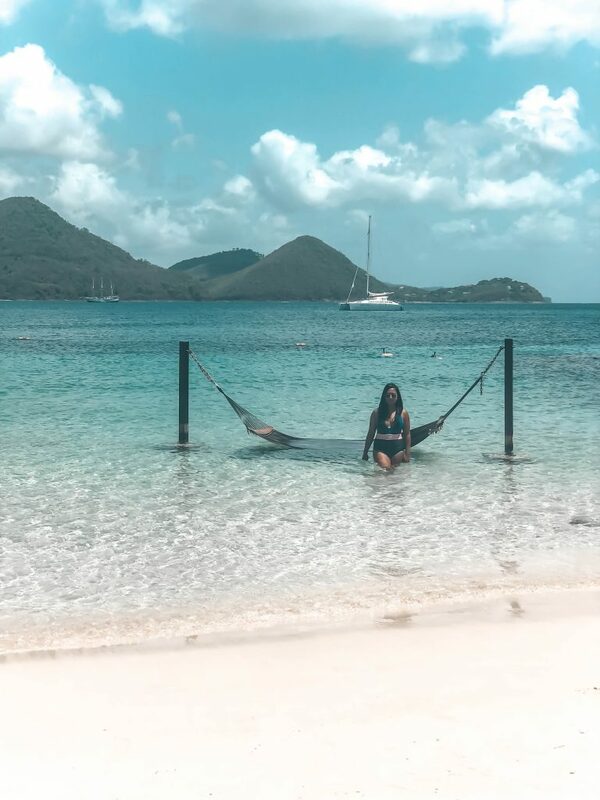 My absolute favourite, however, were the ‘sea beds’, a kind of floating hammock nestled in about a metre of water, providing the perfect place to sit and spend time with your loved one. Our attentive and professional butler also made sure that our beach experiences were extra special, reserving cool boxes for us filled with our favourite drinks – cocktails, of course! He also skillfully made sure that our glasses never remained empty for long, appearing almost magically to fill them once we were done. In fact, the beach was so glorious it was hard for us to pull ourselves away – perhaps why we didn’t get a chance to try more of the other activities on offer! As guests that were lucky enough to have our own butler assisting us to make sure our stay at Sandals Grande Saint Lucian was perfect, we were also invited on the exclusive Butler’s Sunset Cruise( exclusive for butler category rooms) with some other guests. 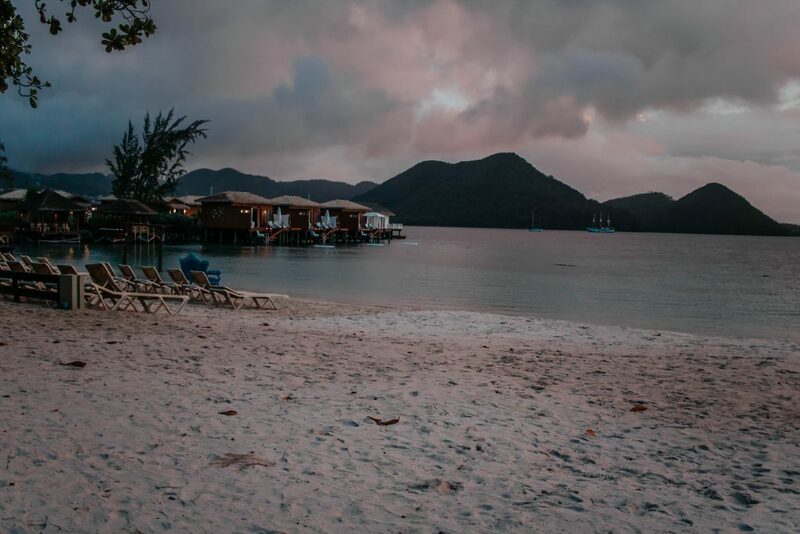 The cruise was a gorgeous romantic addition to our stay at the resort, as we watched the sun dip below the calm waters and enjoyed champagne, rum and canapes. 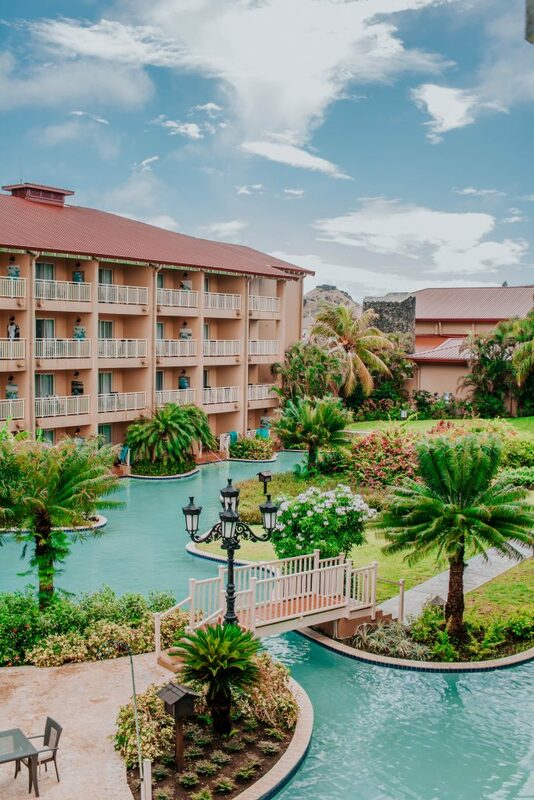 It was yet another opportunity for my husband and me to enjoy each other’s company amongst the natural beauty of Saint Lucia and the impeccable hospitality of the Sandals staff. 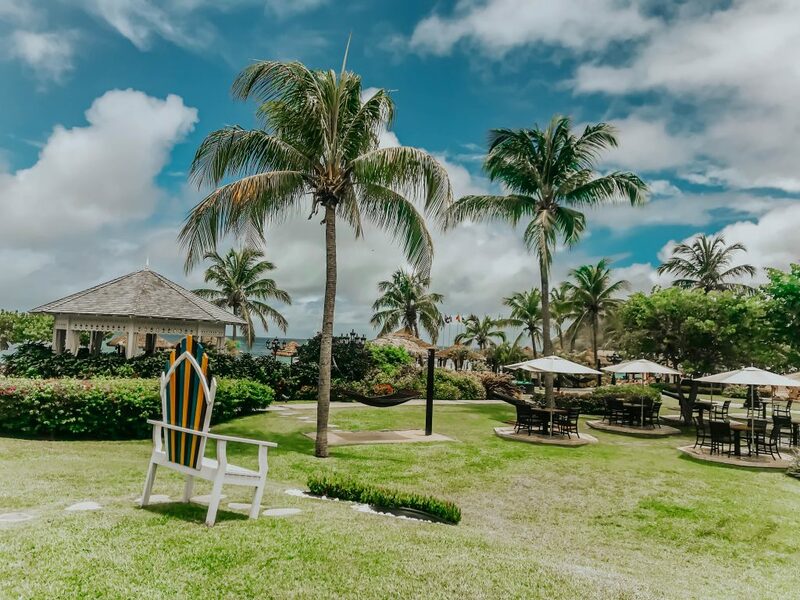 Sandals proudly declare that it is the ‘closest holiday to a picture-perfect postcard’, and I can’t say I disagree – in fact, the resort is as near to the ultimate romantic beachside retreat as I think you can get. Whether it’s feeling the sand beneath your toes as you dine with your beloved, sipping cocktails and dancing in one another’s arms or lazing in the tranquillity soaking tub in your elegant suite, Sandals Grande Saint Lucian is unashamedly romantic. No wonder, then, it is a blissful place where you’re bound to leave with stunning memories and feeling closer than ever.